Paper points to questionable rights protection mechanisms in new TLDs. 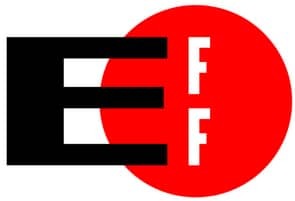 Electronic Frontier Foundation (EFF) and Public Knowledge have released a whitepaper comparing policies across various domain name registries, and warning domain registrants to be wary of new top level domain names. The whitepaper points to added rights protection mechanisms in new top level domains, such as Uniform Rapid Suspension and the Trademark Clearinghouse, as cause for concern. It takes particular aim at Donuts and Radix for their “trusted notifier” arrangements with Motion Picture Association of America (MPAA) in which they will work with MPAA to remove domains that infringe copyright. While I appreciate what the EFF is trying to say, and I agree with some of its concerns, it’s important to consider how things like the trusted notifier program work in practice. Donuts is very careful before taking a domain down due to an MPAA notification. Unless you’re hosting copyrighted video content, it’s probably not something you need to worry about. The paper recommends using .onion domains on Tor for the ultimate protection but points out that these domains don’t work for most internet users. You won’t find these sites in Google and users need a special browser. In other words, very few people will find your site. They suggest to do what? To use “.onion” domains on an alternative root? Is it first of April? Can’t wait to read that study on my way back from holidays.